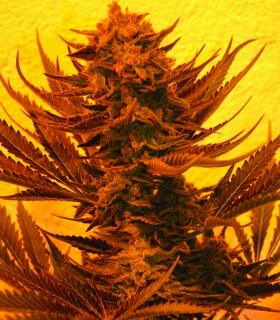 Product details This super high yielder, known for its vigorous veg growth and tight internodal stacking will produce long, large colas. Blueberry Headband has heavy disel overtones with sweet berry undertones, with the Pre-98 Bubba providing a peppery bite. Product details More than two decades separate these two indica legends, brought together here for the first time. 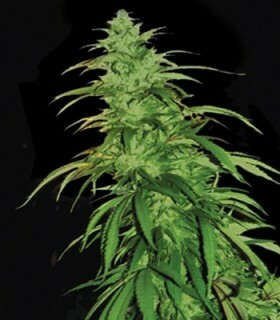 Bubba 76 produces large, rock-hard buds from top to bottom, making even the smaller pieces substantial enough to trim. Product details California Wildfire produces big, bubbly, coke bottle-shaped calyxes on massive colas, bursting with that Chemdawg zing. This plant grows rapidly during the vegetative stage and will double in size after flipping, so timing is important if space is an issue. Product details We combined these two flavorful and distinct strains to provide some tasty variations in this F1 release. The Cherry Thai was crossed initially with an old Afghan for density and finish, we then back-crossed it several times to bring out the characteristic flavors and soaring high of the original Cherry Thai mom. 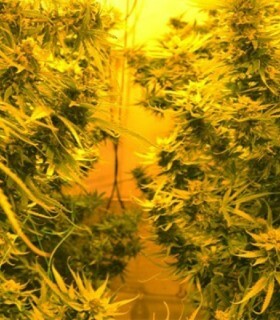 A very high producing strain with huge colas producing 500+ grams per metre square, an easy to grow strain that is quick to produce, flowering in 45-50 days. 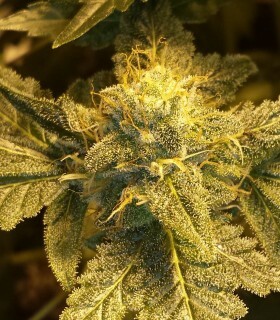 A very high producing strain with huge colas producing 500+ grams per metre square, an easy to grow strain that is quick to produce, flowering in 45-50 days. 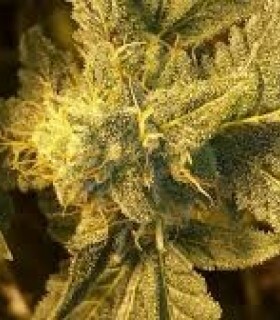 his strain is fairly fungi resistant and can be harvested between mid and late September. Product details We crossed two of the strongest, most beloved and desired sativa-dominant hybrids in the world to create this symphony of flavors. Emerald Jack grows tall quickly, doubling in size after moving into the flowering cycle, so don’t be afraid to flip it early indoors. We’ve taken the legend that is G13 and crossed it with our own Blueberry Headband and in doing so have produced one hell of a plant. Product details This F1 cross of two classic California flavors has evolved to create this immaculate new flavor which is a great blend of two new-school genetics, though growing very moderately throughout the vegetative state, this strain does not accelerate dramatically when flipped. 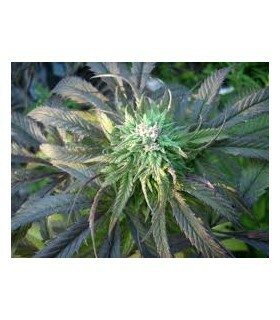 Headlights Kush auto is a combination of our Lemon OG Kush, Original Haze and Northern Lights. It's a plant not to be messed with, it grows like a privet bush! The best time of the year to grow outdoors is from early spring to beginning of autumn. Product details This indica-heavy OG cross was created by backcrossing an early OG x 3 into our California Sour (Mexican Sativa x Afghan) mother. The result is a pungent, diesel-dominated beauty with immense potency and flavor. Product details This F1 cross of two heavy indicas produce large dense buds, which are all covered in resin all the way down the stem, making it a great hash maker's strain. The large fan leaves give her a shallow canopy, so it's best suited to topping and works well in a sea of green of SCROG method. 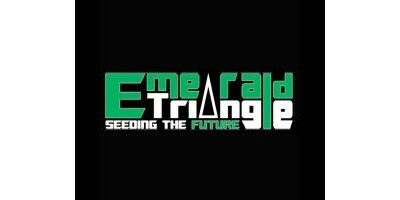 We’ve taken our Emerald Jack and crossed it with one of the best producers on the planet which is Critical, this Sativa based strain will not leave you feeling cheated, she produces enormous colas with an intense taste and flavor. Product details Vigorous vegetative growth allows for a hearty infrastructure, resulting in multiple large, fragrant, THC-encrusted “castle” colas. 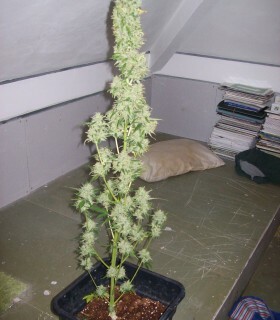 You can veg it longer than most plants, as it only stretches about 15-25% after entering the flowering cycle. This sativa-dominant strain grows vigorously in the vegetative stage, continuing into an explosive development of infrastructure in the first few weeks of flowering to create some dense colas that are real heavy weight contenders. Product details This sativa-dominant OG variation grows vigorously in the vegetative stage, continuing into an explosive development of infrastructure in the first few weeks of flowering. 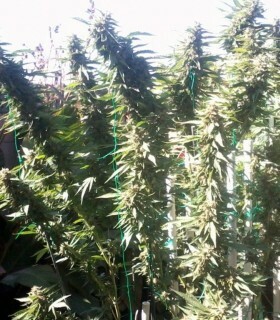 Be patient, these soft, hairy buds will evolve into large, bubbly, castle-shaped colas in the final two weeks. Product details Good spacing between fan leaves and tight internodal stacking allow for excellent light penetration into the canopy, increasing the length of terminal colas and increasing overall yield. This hardy plant loves to be tied down, which can result in numerous, remarkably uniform colas with as many as 20 connected internodal sites.